A raw edge, cogged construction further increases the effective power transmission of deep wedge V-belts. These cogged deep wedge UniMatch V-belts need no belt set matching. 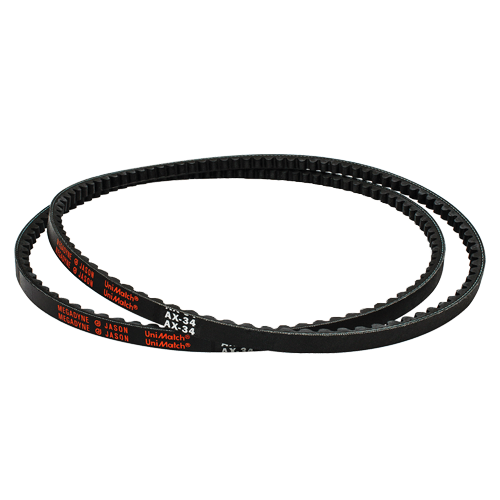 UniMatch® Cogged Raw Edge construction further increases the effective power transmission of Deep Wedge V-belts. These cogged deep wedge UniMatch® V-belts need no belt set matching. Are you interested in UniMatch Cogged Deep Wedge?